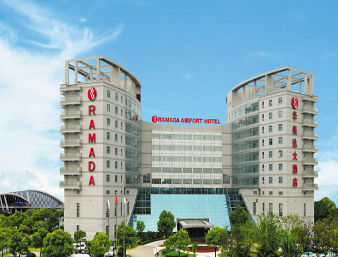 Ramada Pudong Airport Hotel is located a five-minute driving distance from Pudong International Airport terminals 1 and 2, and the Maglev Train Station. Current flight information is broadcast in all hotel guestrooms. The hotel provides free shuttle bus service to and from airport terminals 1 and 2. The hotel offers a total of 370 exquisitely decorated and well appointed guestrooms, including standard, superior and deluxe rooms. 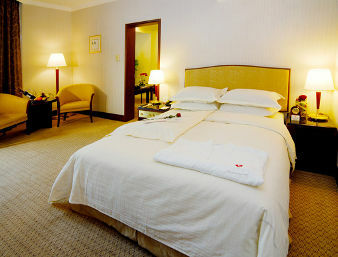 All rooms and suites are comfortably furnished and well-equipped with modern guest amenities. 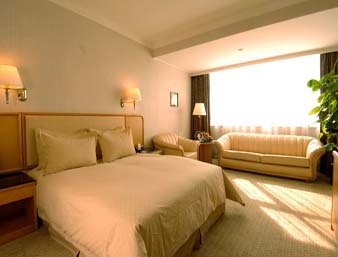 Free parking for hotel guests and free Wi-Fi Internet access is available in all hotel rooms and public areas. Contemporary Western cuisine is served daily for breakfast, lunch and dinner. Enjoy the delicious dishes amid the natural and cosy atmosphere in the Brasserie Cafe. Decorated in tones of green and yellow with crystal lights and gaily flowered carpet. 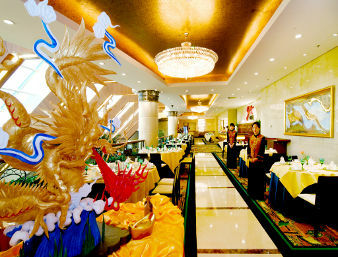 Overlooking the hotel lobby, the Gallery Chinese Restaurant has an elegant ambiance and provides a sumptuous menu. Enjoy delicious dishes from the Shanghainese and Cantonese cuisine. Private dining rooms are available. Enjoy the relaxing sounds of piano music and beautiful surroundings. 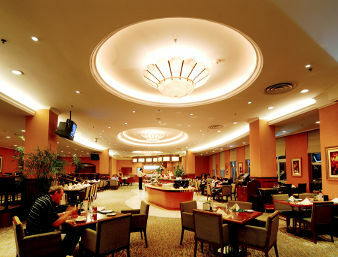 The Lobby Lounge is the perfect place to relax or meet with friends. Choose from an extensive menu to enjoy the privacy of dining in your room. Available 24 hours a day. The Health Club & Spa features state-of-the-art physical fitness equipment and an aromatherapy spa, offering facials and therapeutic massages. For pure pampering the spa bath, sauna and steam rooms offer the ultimate in relaxation. Terminal 2 at gate No.23 (Outside Arrival Hall).